This LP has 40 parts. Making a LP of Mega Man 9 was a blast: Firstly, its a great game on its own merits, from gameplay to soundtrack; secondly, our playthrough and analysis helped me to understand, on a more fundamental level, why it works so well; and thirdly, hanging out with your best bud is a perfect way to spend any evening. I was eagerly looking forward to the sequel. Fast-forward to the second week of playing through Mega Man 10, and I was telling Natural20 the only way he could make up for inflicting this crap on me was to let me pick the next game. 1) It must not be a horror game, otherwise Nat will go into Maximum Overwuss and derail the whole thing. 2) It must be fast-paced enough that Nat does not fall asleep at the controls. 3) It must be simple and straightforward enough to avoid baffling Nat, who is a very uncomplicated man with a very basic nervous system. well, pretty much any Grasshopper Manufacture game, really. Eventually, it struck me: Castlevania. 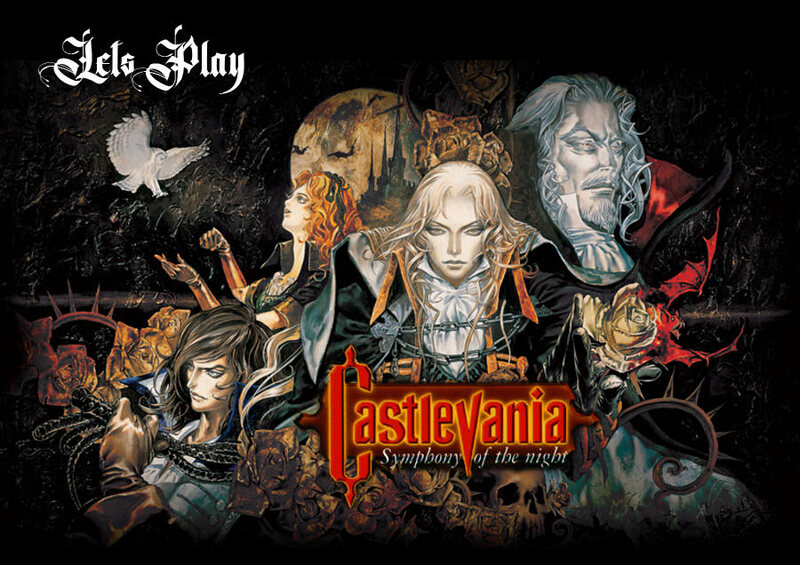 Its only been in recent years that Ive grown to love Castlevania. As a kid my only option was Castlevania 64, and since this was in the days when you had to take out a mortgage to pay for a single N64 cartridge I decided to spend my money on Yoshis Story instead (totally worth it). It wasnt until Circle of the Moon that I got hooked, but even then, it was several years before I finally got round to playing Symphony of the Night, probably the most famous installment in the series. Even then, SOTN still managed to impress me with its mixture of intricate 2D art and creative 3D effects, its memorable cast, its simple-yet-effective storyline and its excellent soundtrack. Theres a real sense of majesty to Alucards journey, but theres also a charming goofiness which belies its Hammer-inspired roots. A perfect choice. Symphony of the Night is a story about many things: the undying nature of evil, the inescapable bonds of destiny our heritage places upon us, and how a few good people can turn the tide in the fight against darkness. Alternatively, its a story about an angsty half-vampire with no junk and a serious inability to eat peanuts. I think Nat will like it. This is set to be a video LP of Symphony of the Night. I will be running the game entirely blind whilst Yorkshire Tea acts as my guide, helping me by explaining mechanics I might not understand and ensuring that the run hopefully keeps a relatively brisk pace. Videos are set to release three times a week, usually on some combination of Monday/Tuesday Wednesday/Thursday and Friday/Saturday. With that in mind, part of the fun will necessarily be talking about spoilers in the game. As I have to monitor the thread to make sure updates get correctly posted here and that everything with the discussion is fine, I would make the request that spoilers about aspects that I have not encountered be discussed with spoiler tags, like this!. Tea will happily read along and chat about these things with you guys, but I will pointedly always ignore spoiler tags until after weve completed the run. This is most important if I've managed to miss something along the way. Please don't highlight it without spoilers. Tea informs me that the intent is that we clear all the enemies within the game. I have also made it clear that he is not to tell me about hidden rooms or secrets in the game. So if I miss an upgrade I wont be told about it. The aim is ideally to see how a player entirely new to the game would progress with as little input as is reasonable, whilst hopefully providing at least a little illuminating commentary on the nature of game design. We are of course flexible and if people have suggestions about a different way to deal with the run that can be integrated easily, well be happy to include them.